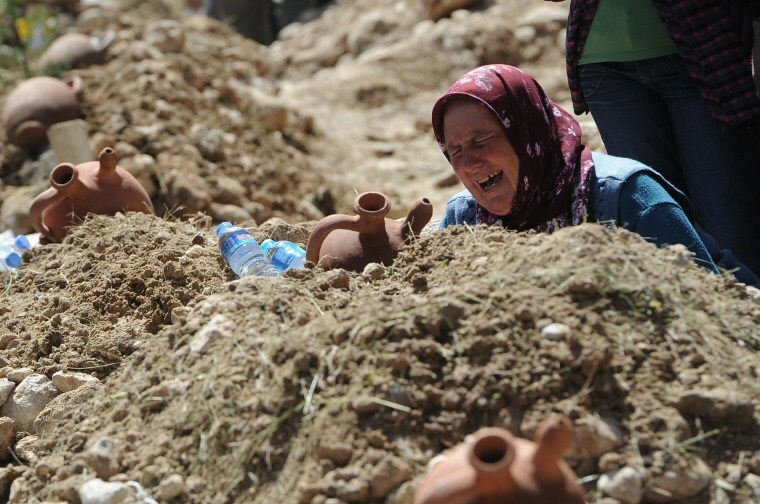 SOMA, Turkey - Grieving relatives laid their dead to rest in mass burials Thursday, as gravediggers labored to make room for scores more victims of the country’s worst mining disaster. Many of the graves were simple. One had a flower and a scarf from a miner's favorite soccer team. At a graveyard in the mining town, where coal has been the main industry for decades, mourners said they spent their whole lives fearing a disaster like Tuesday's, in which an explosion set off a deadly fire just as workers were preparing for a shift change, trapping hundreds underground. "The wives of the miners kiss their husbands in the morning. When they come back, even if they are five minutes late, everyone starts calling, said 45-year-old Gulizar Donmez, whose husband and father are both miners and whose neighbor was among the victims. "You never know what is going to happen."